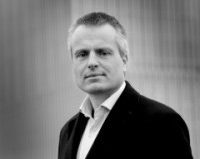 Joris Luyendijk is a Dutch non-fiction author, news correspondent, and talk show host. He has written several books, the most recent of which resulting from his experience in the banking sector in the City of London, “Swimming With Sharks: My Journey Into the World of the Bankers”. How Can Bankers Live with Themselves? As the Panama Papers revelations lay bare in unprecedented detail how the rich and powerful are avoiding taxes, it is tempting to think of the bankers, financial lawyers, accountants and consultants who assist them in doing so as evil psychopaths.